CNN Press Release - HLN is America’s television destination for coverage of the trial of Dr. Conrad Murray, the man accused of causing the death of Michael Jackson. Beginning today, HLN’s deep bench of talent provides a complete view of events in and around the Los Angeles Superior Court, as well as a comprehensive exploration into the lives of the Jackson family and Murray. Network hosts and reporters including Nancy Grace, Jane Velez-Mitchell, AJ Hammer, Ryan Smith and Vinnie Politan deliver up to the minute reports on the latest trial action, and hosts Dr. Drew Pinsky, Joy Behar and Robin Meade feature special programming daily on their respective shows. 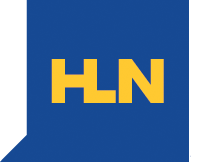 As opening arguments begin on Tue, Sep 27, HLN will air gavel-to-gavel coverage each day beginning at 11 a.m. ET, providing pre and post trial analysis from inside and outside the Los Angeles County Courthouse. One of the top-rated morning shows in the country, Morning Express with Robin Meade gives viewers their daily courtroom developments while also exploring the human connection. Special Report at 11 a.m. Host Vinnie Politan, a lawyer and former prosecutor, will take viewers through the daily events in the courtroom and get to the two characters at the center of this story: Dr. Conrad Murray and Michael Jackson. News Now at 3 p.m.
Live from Los Angeles, Hosts Ryan Smith and Jane Velez-Mitchell bring viewers up the minute developments in the courtroom as they happen while analyzing what the viewers have seen. Smith, a former entertainment attorney and host of InSession, gets to the heart of the story with his curiosity and connects the dots to find the truth behind what people are saying. Issues with Jane Velez-Mitchell at 7 p.m.
Utilizing Velez-Mitchell's years of experience covering Jackson during his previous legal battles, Issues with Jane Velez-Mitchell pursues the truth by following the details of the trial and the characters at the center of the headlines. Nancy Grace at 8 p.m.
Grace, the most prominent legal expert in media, uses her expertise to seek justice and serves up daily legal developments, delivering up-to-the-minute details of the trial's twists and turns. Dr Drew at 9 p.m.
As a doctor and addiction specialist, Dr. Drew Pinsky takes center stage and tackles the celebrity culture, demystifying why players at the heart of this story do what they do. Pinsky explores the behaviors of celebrity addicts as well as the doctors who treat them and how Jackson’s story ended in tragedy. The Joy Behar Show at 10 p.m.
Behar explores Michael’s life and the Jackson family dynamic, adding color and context to the discussion from her celebrity guests and panelists. Behar gets the answers to the questions her viewers are asking and connects them to the story. Showbiz Tonight at 11 p.m.
Showcasing Hammer’s years of reporting on Hollywood and the music industry, Showbiz Tonight highlights why Jackson’s music still matters, his legacy and how this trial impacts millions of fans globally. In addition, HLN chronicles the mysterious life and death of Jackson in a two-part documentary, The Death of Michael Jackson: Dr. Conrad Murray on Trial airing on Sat, Sep 24, at 9 p.m. (ET). Hosted by Grace, the documentary features expert commentary by HLN’s Dr. Drew Pinsky, Jane Velez-Mitchell, Joy Behar, Vinnie Politan, Robin Meade, AJ Hammer and Ryan Smith who dissect the question: “how did it come to this?” Part one, airing Sep 24, examines the mysterious live and death of Michael Jackson and ultimately how it led to Conrad Murray being on trial. Part two, will feature details from inside the trial and the dramatic developments that led to the verdict with expert analysis from HLN’s team and reaction from around the world.